Tesla's debt: An electric lemon? 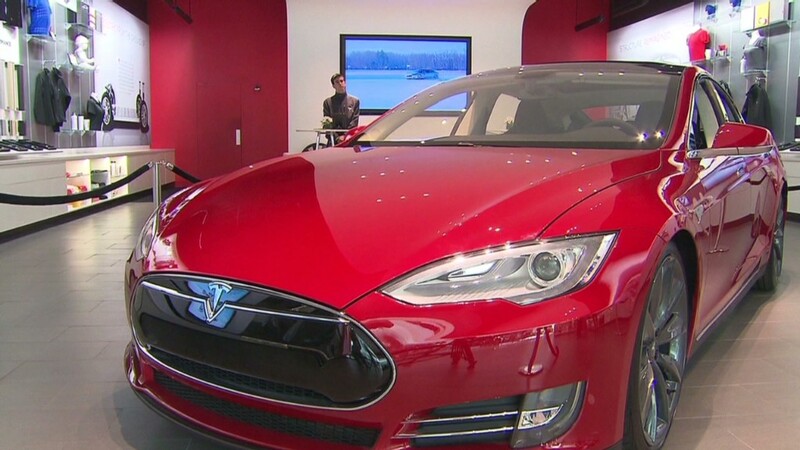 Tesla Motors is loved by auto critics, customers and investors. But it got a rare negative review when Standard & Poor's rated its debt as junk bonds. S&P said late Tuesday that the electric car company's $2.2 billion in debt, due over the course of the next four to seven years, is a risky bet. Its reasoning: "Tesla's narrow product focus, concentrated production footprint, small scale relative to its larger automotive peers, limited visibility on the long-term demand for its products, and limited track record in handling execution risks." Tesla responded that, "this is an unsolicited rating from S&P that was developed independently by their analysts without any feedback from Tesla on our growth plans." But Tesla's circumstances today are better than they were for traditional automakers such as General Motors (GM), Ford Motor (F) and Chrysler Group when they were downgraded into junk bond status about a decade ago, according to S&P analysts Nishit Madlani and Jesse Juliano. At that time, those companies were dealing with mounting losses from declining sales and unaffordable labor costs. Tesla is making money and sales are rising. "In our view, we think the company's liquidity should be adequate to cover the investment plans they have," said Madlani. Even though the traditional U.S. automakers have now been profitable for the last four years, GM and Fiat Chrysler both still have junk bond status on their debt from S&P. Ford was only upgraded to the lowest investment grade rating last August. Tesla (TSLA) shares are up nearly 40% this year, although they are off more than 20% from a record high in February. Shares were lower Wednesday on the downgrade news. CEO Elon Musk has announced plans for the company to raise $1.6 billion to build a huge new lithium battery plant, known as the Gigafactory. The facility will be the key to the company's plans to produce a mass-market electric car. Right now Tesla's only car is the Model S, a well-reviewed car with a price starting at about $69,000.